‘Doctor Who’ star goes back in time! 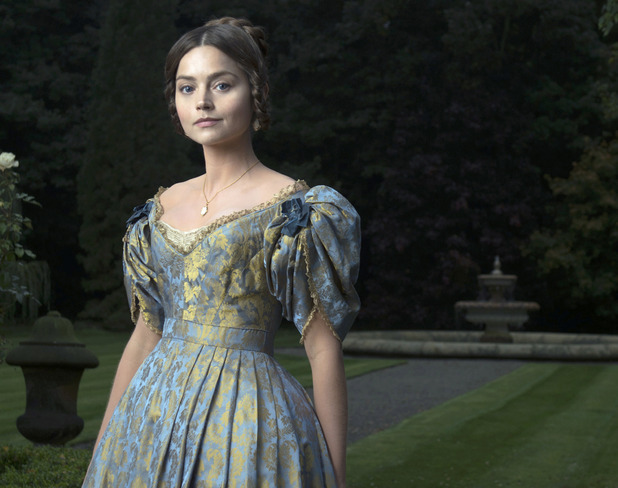 ITV has released a new image of Doctor Who‘s Jenna Coleman as Queen Victoria, in her at first post-companion role – eight-part drama Victoria. Jenna will depict the early life of Queen Victoria, from her accession to the throne at the tender age of 18 through to her courtship and marriage to Prince Albert. Rufus Sewell, Paul Rhys, Peter Firth and Catherine Flemming also star. Fellow actors from the Doctor Who universe Eve Myles (Torchwood) and Tommy-Lawrence Knight (The Sarah Jane Adventures) also feature. Victoria is currently filming in the North of England and will air on ITV in 2016.